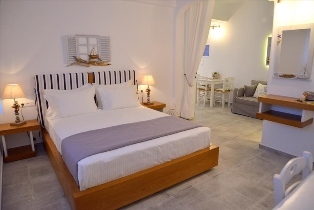 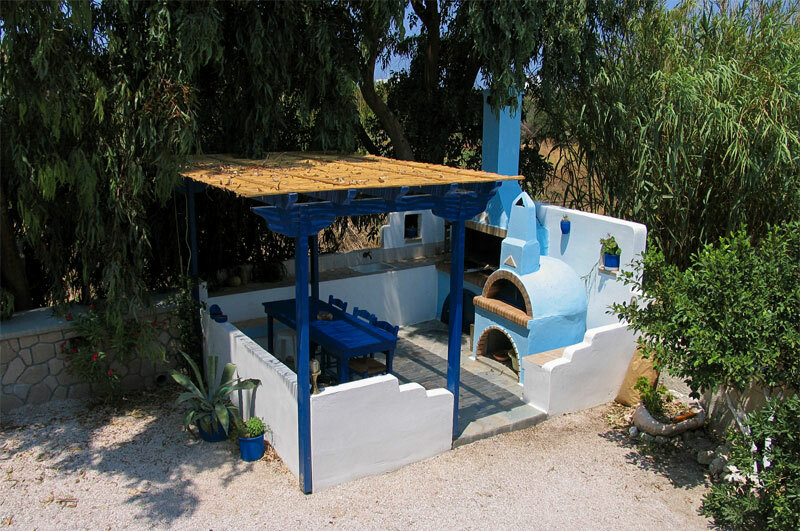 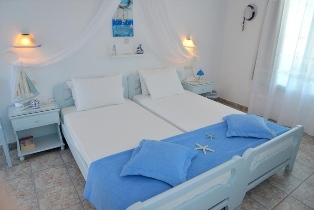 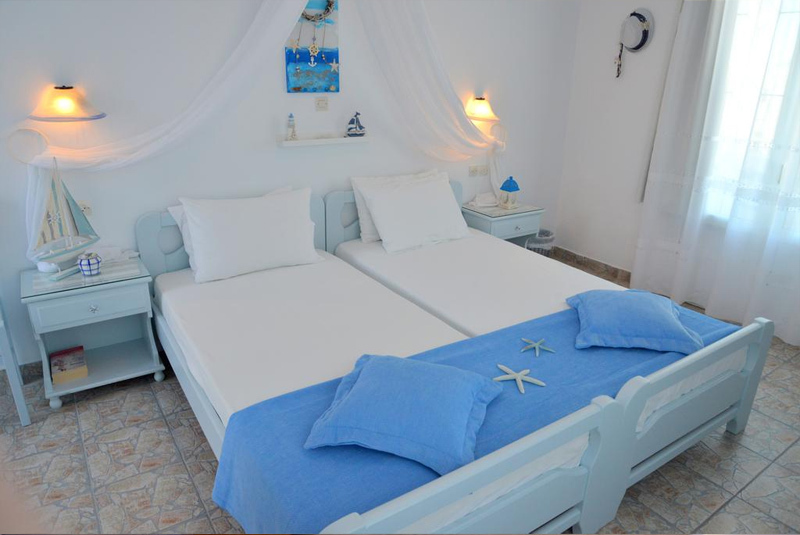 Pergola Studios is located no more than 100 m. from the bay of Pollonia, the coziest village of Milos island, with a sandy beach and trees, where small boats moor and where a playground for children is available on its right side. 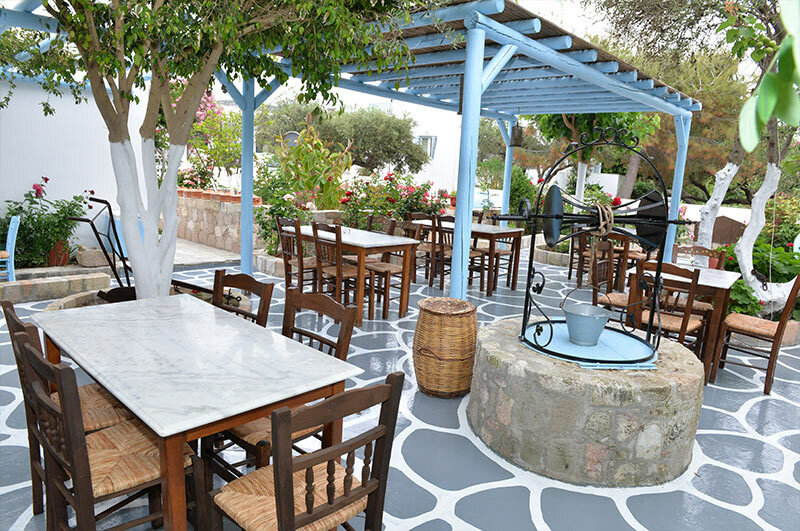 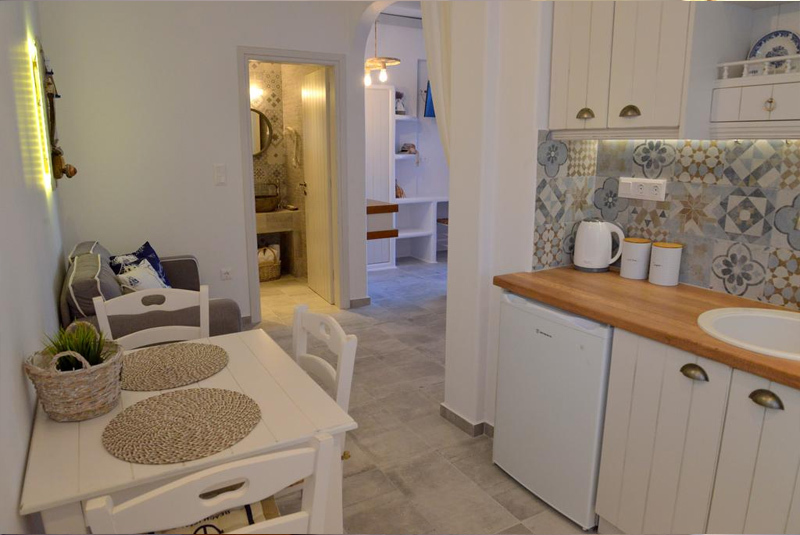 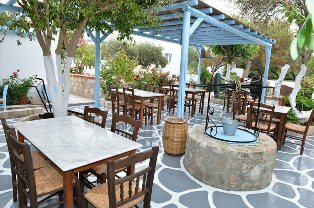 We are therefore close to some of the best restaurants in Milos, right on the sea, shops, a supermarket and rental offices. 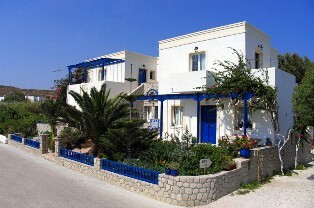 Pergola Studios’ building and the 10 m. away shop “Kivotòs ton Gevsion”, the Ark of Tastes, run by the same owner, are both built with taste, with Cycladic local stone architecture. 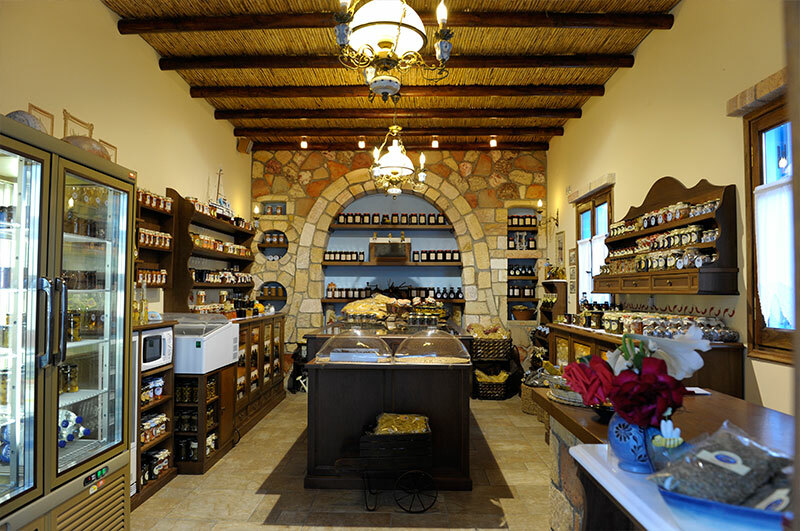 Kivotòs ton Gevsion is a specialized, “delicatessen” shop using selected local products to make marmalades, sweets, honey, and the like. 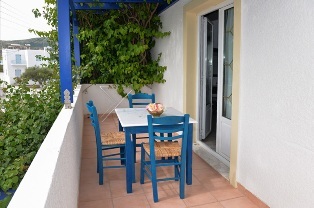 Here you may want to have your breakfast in a shaded beautiful and quiet garden. 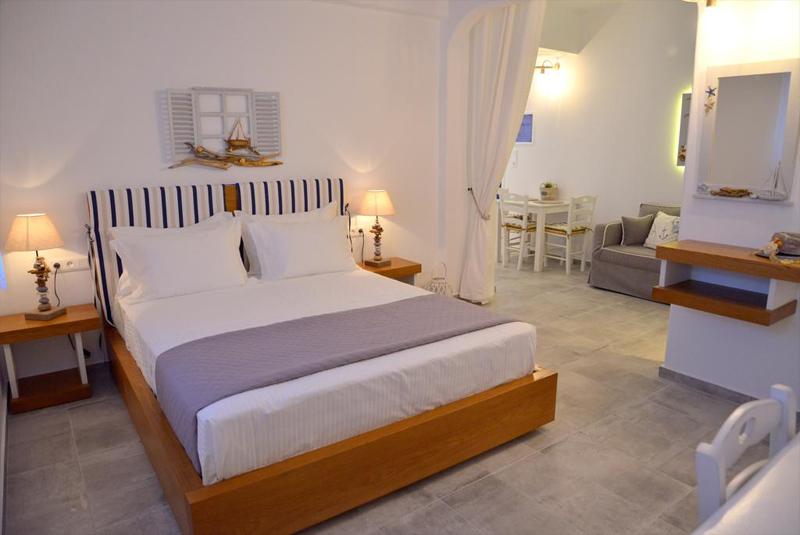 We have 10 rooms, hosting up to three pax. 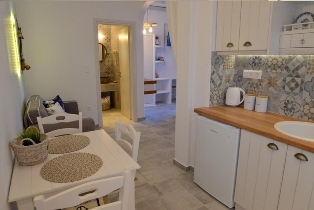 Two room/apartments are equipped with full kitchen. 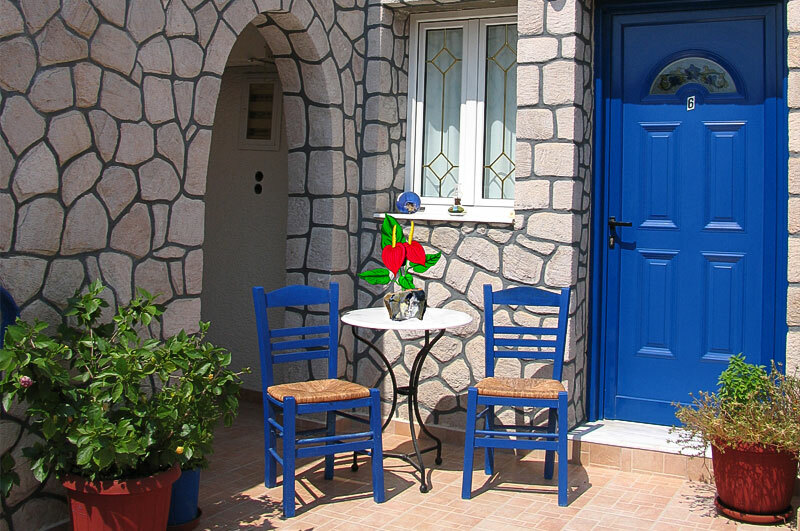 All rooms are air- conditioned, have a fridge, TV and Wi-Fi, and balcony. Each have a boiler to prepare your own breakfast. 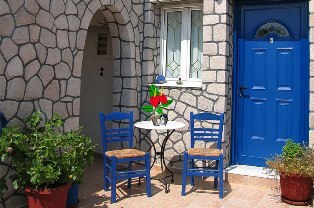 Daily cleaning and reasonable prices. 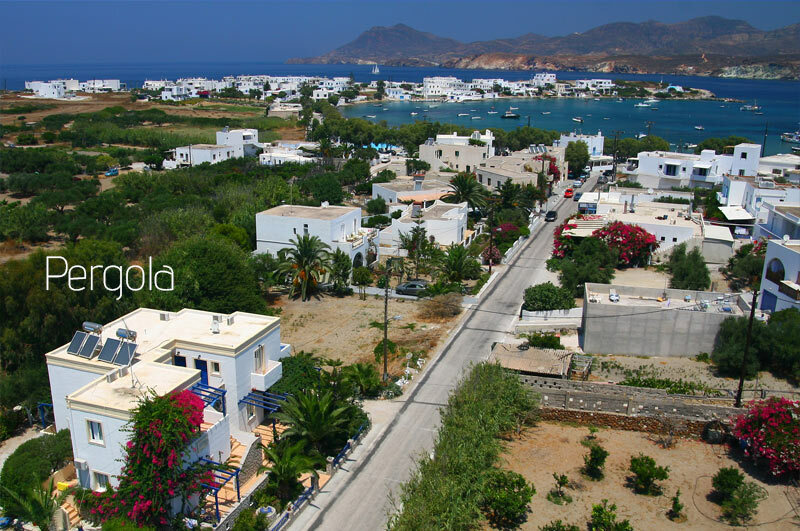 Welcome to Milos and to Pergola Studios.